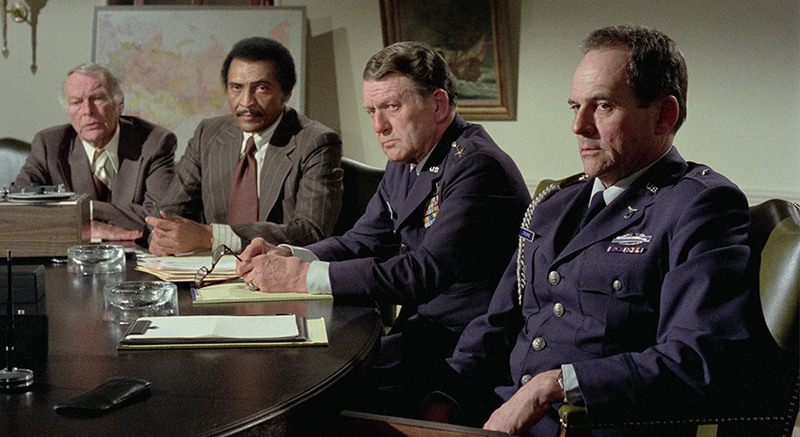 Thrilled to be back in the 70s again with Robert Aldrich's rather brilliant TWILIGHT'S LAST GLEAMING. Why was that decade so extraordinary throwing out one smart political action film after another? Camus heads for the silos with the launch codes, Slarek covers the tech specs, the documentary and the summary. "Although the effort to get the document released drives the plot, the film's main aim is simply to expose the appalling self-interested cynicism of those in power. 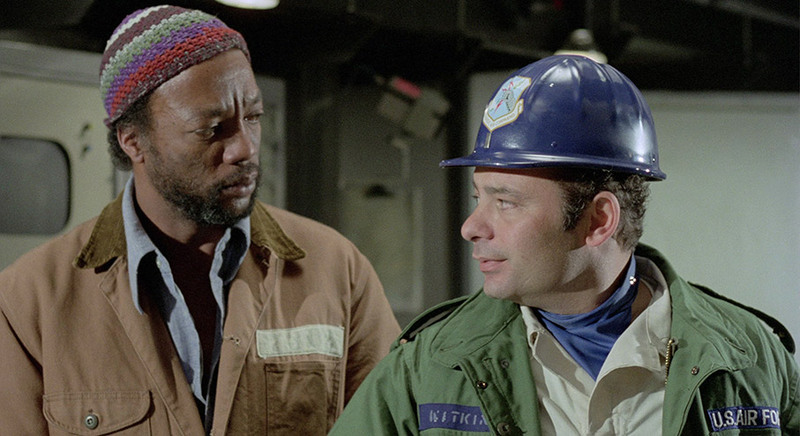 Like other '70s thrillers (Three Days of the Condor, The Parallax View, All the President's Men), Twilight's Last Gleaming is essentially a gesture of disgust at what politics has come to in the U.S."
You know the evolution of personal political thought. Your worldview is tested, honed and settled after years of application, peer and family pressure and an ongoing desire to encourage the best in our potentially monstrous race of human beings. Morally, you think you know what's essentially right and what's essentially wrong. To have a say in the direction in which your society is moving, you will have to fall on one side of the ludicrous 'one way or another' politics with which the western world has been forced to comply. If there can be a modern canard (yeah, I know,) ripped from a holy book, how about "Between a self-serving, lying, cunning, money grubbing, tech-naïve, flip-flopping political animal and an absurdly hateful, violence-endorsing, misogynistic, racist, childish, sexually aggressive, control freak slash psychopath, CHOOSE THE FORMER and next time at bat America, find someone worthy of the damn office..." It wouldn't surprise me if President Obama ends his intelligent and studied time in office, weeping into a beer. At the risk of sounding like I support nepotism of the Bush and Clinton kind, what was wrong with the Democrats endorsing Michelle? She's a super-smart lady so she probably baulked at the idea. This is a review of a movie not a political diatribe but hey, the big day is Tuesday. Forgive my alarmed concern at the way the world is headed. Ahem. Take another look at that list of movies in the above quote. The first three of those films are superb examples of ugliness unafraid of staring into the mirror, America peeling back the old carpet in the corner of its conservatory and having a good poke around among the cockroach cadavers. In the first on the list, it was the CIA playing war games. The second features a shadowy organisation that controls and perverts the political machine by selective assassination. The third unravels a sinister conspiracy at the very top of government. 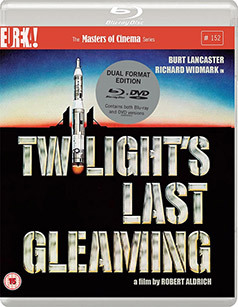 Twilight's Last Gleaming is one man's attempt to restore honour and integrity to the White House by holding it to a nuclear ransom. When all avenues are closed, the desperate are driven to measures that force the powerful to listen. Robert Aldrich's terrific film is certainly up there with the three aforementioned classics of the political thriller genre. Mystifyingly, it bombed on release but it's not hard to recognise the film as a great work with tension galore, great lead and peripheral performances and a gritty, brooding, militaristic score from maestro, Jerry Goldsmith. 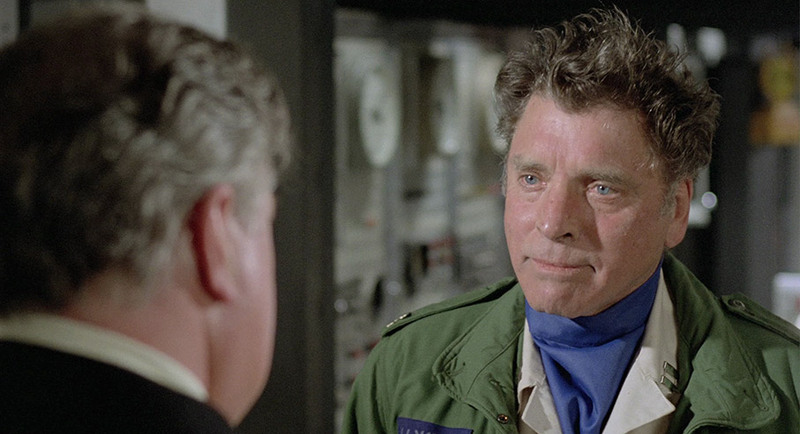 Burt Lancaster (in all his gruff glory) plays General Dell, a disgraced former military bigwig who was sacrificed by those in power while trying to reveal terrible truths about the real reasons behind the government's actions in Vietnam. Desperate to steer his beloved country into a fairer, more honest direction, he takes a bold step. With three other accomplices, he breaks out of a military prison and with his insider knowledge manages to take control of an Air Force silo with nine nuclear missiles. There follows a tense cat and mouse strategy game between those in power and those with the power. Aided by Paul Winfield as Willis in an early role for this distinguished actor, William Smith as Hoxey, a bloodthirsty soldier with scores to settle and Burt Young as Augie (more on Young in a while), Lancaster has to weigh up the chances of his success while putting the world on the edge of a nuclear Armageddon. Each of the nine missiles is aimed at strategic targets in what was then the USSR. If Lancaster presses the button (or nine), that's it for the superpowers. Both the US and Russia will be reduced to radioactive car parks. You have to remember that nuclear annihilation was (and still is, if we're honest with Trump a squirrel's hair's breadth from total executive power) a viable and very real threat at that time. We were a few decades away from the absurd 'Duck and Cover' propaganda from US newsreels but it was still a contentious issue in the 70s. Even the word 'Nuclear' was enough to send rational men and women scuttling for the bunkers if they were lucky enough to have access to bunkers. Absolute destruction is a concept not many can wrap their heads around without face palming at our species utter and almost wondrous idiocy. I think it was Einstein himself who said that "Two things were infinite; the universe and human stupidity... and I'm not sure about the universe." Anyway, Lancaster has the power and all he wants in exchange for acquiescing the ability to usher in global destruction is for the President of the US to make public a quashed report showing how barbaric and disgusting the US could really be during the war in Vietnam. Yes, written down it seems a little over the top but human beings have done more illogical things. The movie is packed with memorable scenes but it's perhaps best remembered for its experimentation with multiscreen framing, an effect that doesn't enhance the drama in quite the way I suspect the director intended but it does mean the editors are forced to time their cutting very differently. Editors Michael Luciano, William Martin and Maury Winetrobe are essentially cutting two or three movies for the audience to view simultaneously. There are a few dialogue overlaps from one box to another that renders both deliveries indecipherable. I suspect the split screens are the direct reason for the trio of editors despite the fact that the effect is used in relatively few sequences, and mostly tense and urgent ones. The suspense is still conveyed, no question but as this is one of a handful of the first mainstream movies to employ the device (as far as I am aware, feel free to pull up others) it suffers the same way the first of anything suffers. There's the initial 'WTF?' and then choosing which box to follow. To be fair, we are eased in as the first time the technique is employed, it may well have been a half split because the action is a simple phone call – left box the high command on mostly mid shots and right box, Lancaster and crew. It doesn't start with more than two boxes until 45' 30" with its third split screen scene after a tense two way split. This is of course in keeping with the three narrative strands unraveling. The four split is saved for the most suspenseful sequence. It had me in mind of a little game I'm sure I'm not alone in playing. If two digital clocks are next to each other (on a train station for example) I'm always trying to catch one number change-over out, as if I could move my eyes fast enough... The division of the drama in screen boxes is done well and works well when one of the narratives is physically still (mostly Lancaster and co.) and you can follow the storm of activity around him. 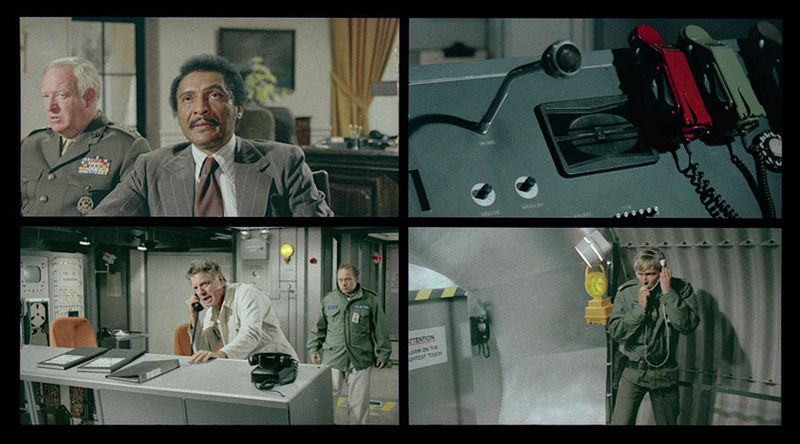 The scene of the rockets about to launch while high up military and the president argue about what to do is the best use of the split screen and a superbly suspenseful sequence. The cast is excellent. Lancaster commands the screen. Playing well against his threats is the confident, adversarial MacKenzie (a smirking Richard Widmark). 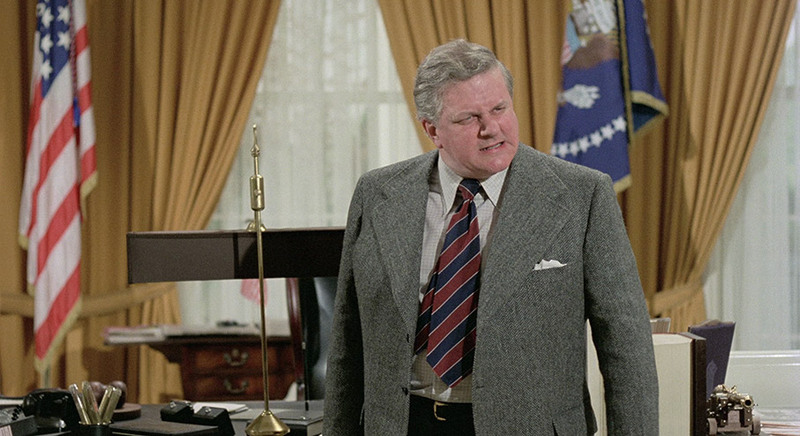 Charles Durning (the duped cop in The Sting) has a chance to get his teeth into a solid and morally upright character playing the President. Famous faces pop up, famous and very well respected faces but there are three that stand out because of my age. It's lovely to see Thunderbirds' Scott Tracy himself, Shane Rimmer as Colonel Franklin and another Gerry Anderson regular, UFO's Ed Bishop playing Major Fox, commanding a team to confirm the silo's breach. It's also a small delight to see a frightened Cliffy from Cheers and Pixar regular John Ratzenberger skulking around the silo with a very big bomb. Now then, Burt Young, the unmistakable, iconoclastic Mr. Burt Young. It's time someone highlighted this man's contribution to American cinema. At 76 he's still working and doing stage roles too. Of Italian descent and instantly recognisable, he was an ex-Marine and an ex-boxer, and took his drama classes with the legendary Lee Strasberg. There is something authentic about his style of craft that always entertains me. His reaction at seeing the cooks coming up the stairs is just lovely. "Awwww!" He's the Johnny Vegas of Hollywood, always unpredictable and yet in control. That he can play such a swathe of parts convincingly is a testament to his talent. Chinatown's first scene belongs to him and that's up against Jack Nicholson. He's most famous for co-starring as Paulie in all the Rocky movies (and I mean all) but a part of my brain smiles whenever I catch him on screen. A few curiosities remain about this version of the film. The model work had me fooled the first time I saw it but not quite the second (I'll leave it to you to figure out what's miniature and what's real). Firstly, and I have no VHS or DVD to make any comparisons, there's the matter of the scrawled in eighteenth century font front titles. The title and main cast credits appear over a slightly out of focus still frame of sunset (dare I say twilight?) with Lady Liberty ceaselessly holding up her torch on the left. The titles are rock solid, absolutely still. This doesn't add up with 1977's technology. In those days, titles were added optically, exposed directly on to the film negative. This resulted in a small amount of jiggle. Watch films of this period closely and you will see the titles and credits move and pulse slightly. Could it be the titles were re-done digitally? As I say, I have no way of comparing. What am I saying? This is 2016. The full version of the movie on You Tube (quality way below VHS) is from a CBS Fox video release and apart from the disclaimer being in a completely different font from this Bu-ray release's disclaimer, the subsequent title and acting credits have that tell tale optical shake and pulse so yes, it seems the credits have been touched up as well as the end credits. Not sure how I feel about that. Optical credits are part of the fabric of the original version. I am completely ambivalent on this issue. The other small niggle is that at a point in the film which I will leave deliberately vague, two people are exposed and continue to move around a third, a hostage, hoping that the desire to shoot them is mitigated by the desire not to shoot the innocent party. Earlier in the movie, an assault on the silo resulted in several abandoned tanks being evacuated and available to our original two people. Why they did not avail themselves of such protection brought me up short. Never mind. It's a small narrative misstep in an excellent political thriller that will put the tips of your nails in serious jeopardy. Well recommended. Let's get this straight. The 1.85:1 transfer on the Blu-ray in this dual format release is far and away one of the best I've seen all year. It gets everything right, being sharp enough to cut through marble without any obvious signs of edge enhancement, boasting a beautifully balanced contrast range (deep black, decent shadow detail and no burn-outs on whites) and a naturalistic if slightly warm colour palette whose brighter colours really zing when they need to. The colour and crispness occasionally slip a little on the split screen imagery, but you can put that down to the optical compositing used to create them. Dust and damage have clearly been banished. The Linear PCM 2.0 mono sound is also in fine shape – on a modern DTS track, the firing up of the missiles would doubtless have a thunderous bass roar that you're not going to find here, but the dialogue clear and the music cleanly reproduced. I first watched this excellent documentary made by disc extra stalwarts Fiction Factory without making notes, then had to watch it again a few days later, not because the content failed to make an impression, but because there was just so much in here of interest that the process of specific recall was frying my brain. The title is explained in the opening couple of minutes when it's revealed that Twilight's Last Gleaming was one of two or three major American movies each year that were shot in Germany and specifically Munich, apparently because it was cheaper to do so there and the German film industry had no unions back then. Given Aldrich’s left-leaning politics, I like to think that second reason didn't figure in the decision. Although the standard blend of interviews, film clips and behind-the-scenes stills, the content is what makes this one such an enthralling watch. Those interviewed include director Robert Aldrich’s daughter Adelle, Whatever Happened to Robert Aldrich? His Life and Films co-author Alain Silver, camera operators Gerhard Fromm and Dieter Matzka, assistant director Wolfgang Glattes, and actor Gerald S. O'Loughlin (who plays the President's closest aide Brig. Gen O’Rourke). A wide range of topics is covered here, including Aldrich's background (he came from a wealthy right-wing family and was cut off when he decided to work in Hollywood) and early film industry work, this movie's inception, director of photography Robert Hauser, art director Rolf Zehetbauer, the selection of the cast and how Aldrich worked with them, the construction and filming of the model work, the use of split screen, and a whole lot more. I was rather delighted to learn that camera operator Dieter Matzka had such a great time on the film that it left him wondering what he could possibly do afterwards, and that actor Gerald S. O'Loughlin drew inspiration for his performance by studying the movements of hippopotamuses at the zoo. A terrific extra. A Masters of Cinema booklet rarely lets you down. This one features two pieces, the first a new and excellent essay by Neil Sinyard entitled Two Cheers For Democracy and the second an interview with director Robert Aldrich himself from the magazine Film Comment in 1977. Sinyard blames the failure of the film on audiences embracing the lighter, more "Oh say, can you see..." side of America after the early 70s glut of movies kicking the Star Spangled Banner in the nuts. It seems odd to suggest that the story of a man-eating shark started the process of America coming back to believe in itself again but there we are. Perhaps there is such a thing as a national societal desire to return to more reassuring fare. Twilight's Last Gleaming came out in 1977, the year dominated by Luke Skywalker and company. Maybe the Force had something to do with Twilight's poor box office. Uh, no. That idea carries no weight as Twilight came out in February and Star Wars in May. Some movies just have the movie gods smiling on them, and others, however brilliant, do not. But don't let 70s bad box office luck steer you away from this excellent release of a terrific political suspense thriller. One of the finest conspiracy thrillers from American cinema's most fertile period for this much missed sub-genre makes its UK dual Blu-ray debut in this Masters of Cinema dual format release with a pristine HD transfer, a splendid documentary and a typically excellent booklet. Given the dark future that America is currently teetering on, the timing of this release is as relevant as it is chilling. Whichever way the world goes, you should get this fine disc.